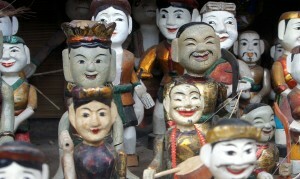 Hanoi seemed a cooler, less chaotic alternative to Saigon. 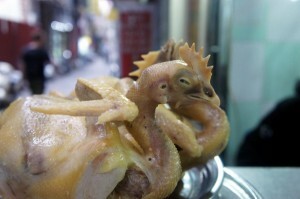 (we liked the heat and chaos of Siagon) Our hostel was smack dab in the middle of the old quarter of Hanoi. The views at night were spectacular as almost every important building was covered in a neon glow. 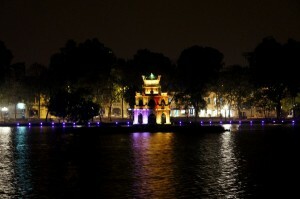 Hoan Kiem Lake is the centerpiece of the Old Quarter. It provided us the perfect spot for a stroll during the day. 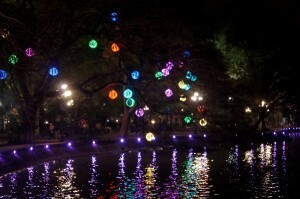 At night, the lake, like everything else in the city was covered in lights. It’s like a christmas that never ends. 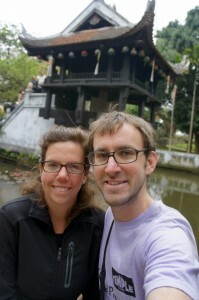 The Ngoc San Temple was a great place for us to relax. It was a silent and tranquil sanctuary on the lake surrounded by the hustle and bustle of the city. 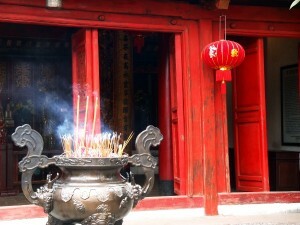 It is a Chinese temple. Leah loved the incense burning outside. 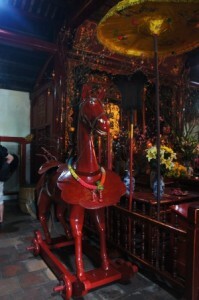 But I loved the weird cartoon horse next to the main altar. His smile was my favorite. Also, they had some amazing cement sculptures coming out of the walls. 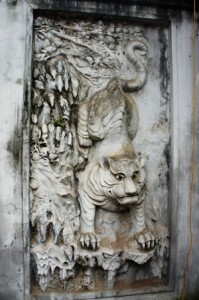 This cement tiger was rad. Rumor has it a huge turtle lives in the lake. We walked around the lake in search for him, but we only managed to see rats scurrying about. 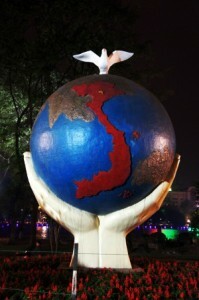 In the park was a sculpture of the world with an insanely enlarged Vietnam. The next morning we visited the Ho Chi Minh Complex. Which was basically a huge park dedicated to Ho Chi Minh. 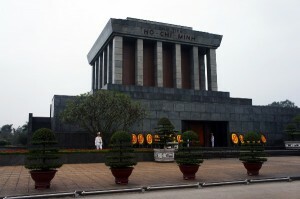 Uncle Ho, as he’s referred to in all the propaganda, had his own mausoleum. The guards were very strict. No cameras, no shorts, no hats, and your arms had to be at your side. I was nearly deported because my hands were in my pockets. 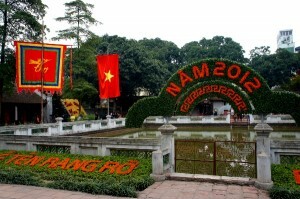 There was a steady stream of people, thousands in total, all on their way to see Ho Chi Minh. In true Lenin style, he was in a glass coffin at the center of the mausoleum. It was pretty crazy to see, and he looked just like he did in all the pictures. The rest of the Ho Chi Minh Complex was basically a pagoda and the home were he lived. Everything was very modest. 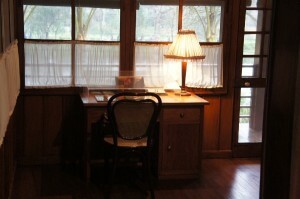 His house was 2 rooms on stilts like many of the homes we saw in the countryside. Very different from the huge communist mansions down the road. Either Ho Chi Minh stuck to his communist ideals or they built a complex to make it appear that way. Either way, it was interesting. The last stop for our day was the Temple of Literature. 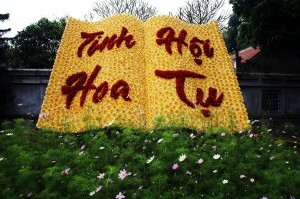 The temple was an immaculate garden with flowers spelling out chinese characters. The gardens were impressive to see, and many tourists and worshipers were visiting. The temple housed huge cement tortoises. 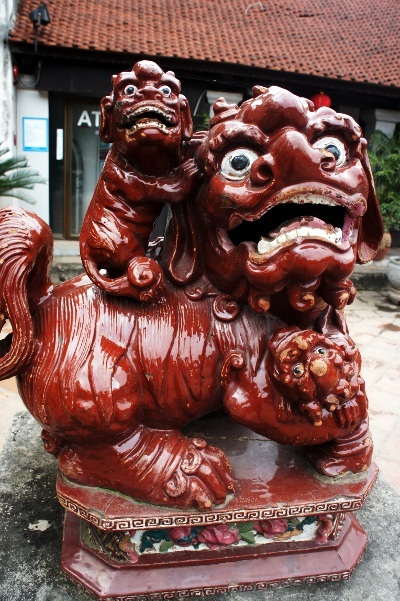 The tortoise is a special creature in chinese lore since it lives very long. 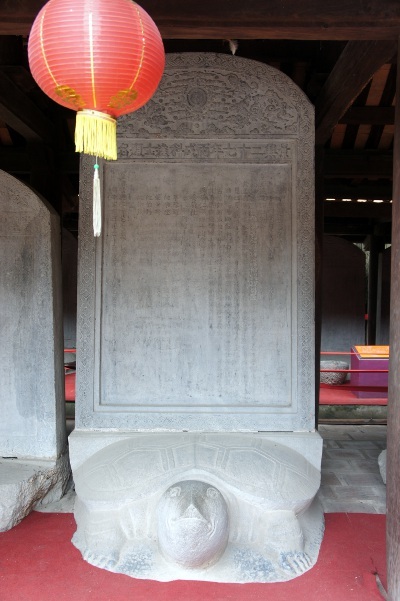 Each tortoise in the complex represented an ancient chinese scholar. Another statue I found interesting was a statue of a little beast riding on the back of a big beast. Their expressions were priceless. 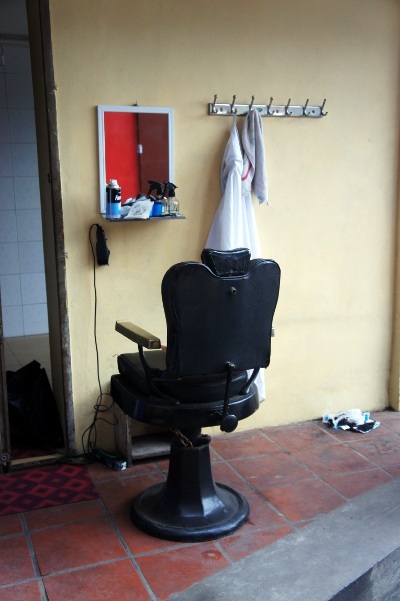 Next to our house was a barber. My mother was a hairdresser so I always like to show her how it is done in other places. Here, they just have a chair and a mirror, on the sidewalk.